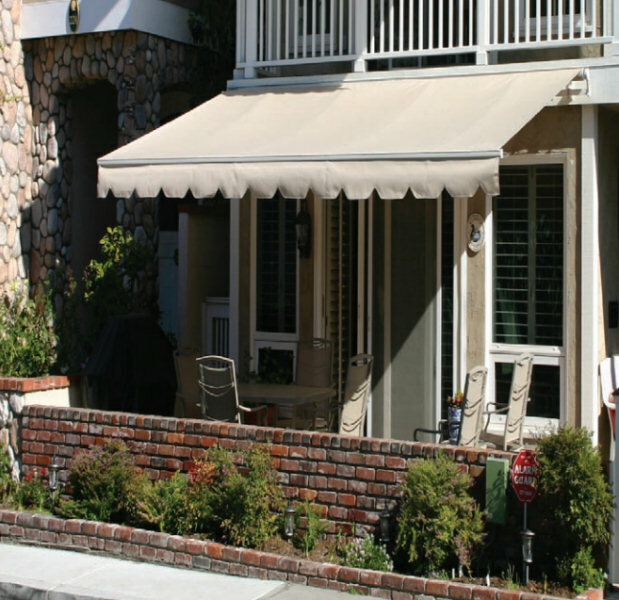 These Fabric Retractable Patio Awnings and Porch Covers are a "Ready-Made" product that is the ideal solution for those with a need for a quality exterior retractable awning system that is also economical. 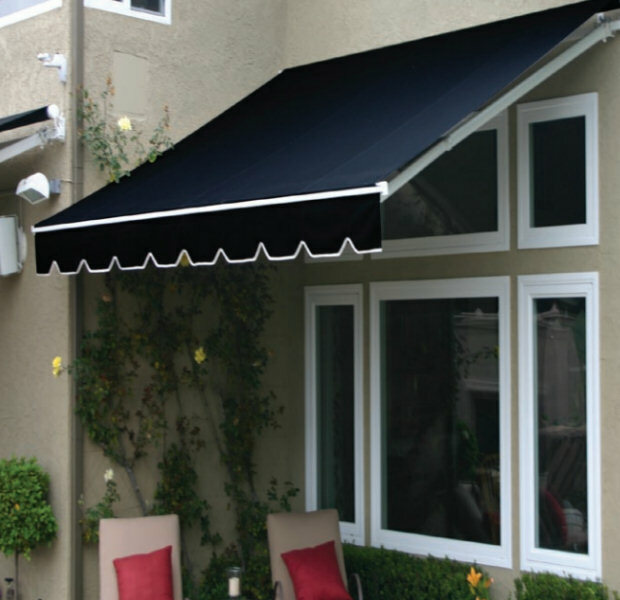 These retractable porch awnings are offered in limited pre-manufactured frame sizes come in five standard fabric colors. This type of standardization in both sizing and color lowers production costs without diminishing quality as these savings are then passed along to you. 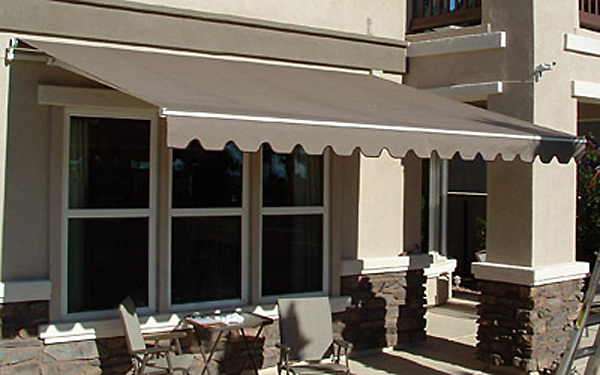 We have seen a number of other retractable awnings coming into the market from overseas at reduced costs most without any form of pitch adjustments, some utilizing plastic arms, others a light-weight aluminum frame with thin aluminum arms none of which can compare to these solidly built awnings with Sunbrella fabrics. The benefits of any retractable awning or porch cover system for your home or office will be the ability to lower incoming radiant heat by as much as 23% (California Energy Report). With electricity costs being what they are today, these Retractable Porch Covers can pay for itself in a very few short years and that's to say nothing about reducing harmful U.V. rays that can destroy and fade your furniture. These quality retractable awning systems will assure years of trouble free service at a price that is sure to please even the most cost conscious consumer plus they include a warranty (5 years) that sure is to surpass the typical 90 days that a number of imported awnings offer. 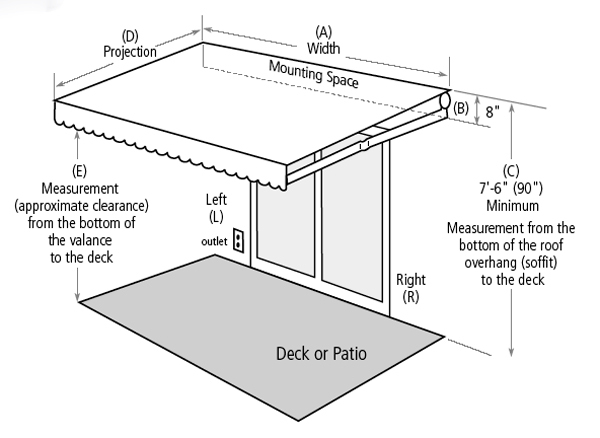 Please note that the 8 foot awning is actually sized at 8 feet and 1 inch.